Visit the Carroll District Day Camp Facebook page! Registration for the 2019 Day Camp opens on December 1, 2018. What are the basics of Carroll District Cub Scout Day Camp? Carroll District Cub Scout Day Camp is a camp run by volunteers of the Scouting program. The camp is held at the Carroll County Farm Museum in Westminster, Maryland. Drop-off starts at 8:15am, and camp runs until 4:30pm. Campers are required to bring a lunch to camp each day, except Friday if they choose to participate in our Pizza Party. They will have the opportunity to participate in many fun activities, such as Archery, BB guns, nature, STEM, woodworking, sports, fishing, and outdoor skills, all while working on Scouting Advancement requirements. Who can register for camp? Any currently registered scout, or elementary aged youth who wishes to enroll in scouting. Girls and boys are both welcomed at Cub Scout Day Camp. If they are not yet registered with a unit, but plan to for the 2019 Scouting year, they can be registered for camp. Tiger Scouts (entering First Grade in September 2019) are required to have their Adult Partner with them during camp. How do we register for camp? Camp registration opens on December 1, 2018, and will remain open until June 15, 2019, or until we have reached the maximum number of registrations. This year, camp registration is a multi-part process. You must complete an online registration, as well as complete and submit additional paperwork before your registration is considered completed. Camp cost is determined by the date the entire process (online registration, BSA Annual Health and Medical Record parts A and B, and paperwork submission) is completed. You can find the online link on the Carroll District BSA Website, as well as a document detailing the registration process. The cost of camp varies, and is based on the date the online registration is processed, as well as the required paperwork is received by camp staff. Campers who complete the process by April 15, can attend for $190 a week; registrations completed between April 16 and June 15, can attend camp for $240 for the week. Because camp is run by volunteers, we depend on our adults to help make camp a success. We understand some adults miss out on camp due to other commitments, which is why we allow campers to register without adult volunteers. However, a per day discount is offered for campers with adult volunteers, as well as more significant discounts for adults who are able to commit to camp for the entire week. If an adult is able to volunteer all week, as well as help with Sunday Camp Setup, or Friday Camp Cleanup, we offer one free camper registration to those adults. Unfortunately, Tiger Partners are a national requirement, and do not qualify for the adult discount. How do I know which Rank to register my child as? The Scouting Year officially runs until June 1. Therefore, all current registered Cub Scouts will advance in Rank on June 1, 2019. Camp Rank is based on the Scouts rank as of that time. 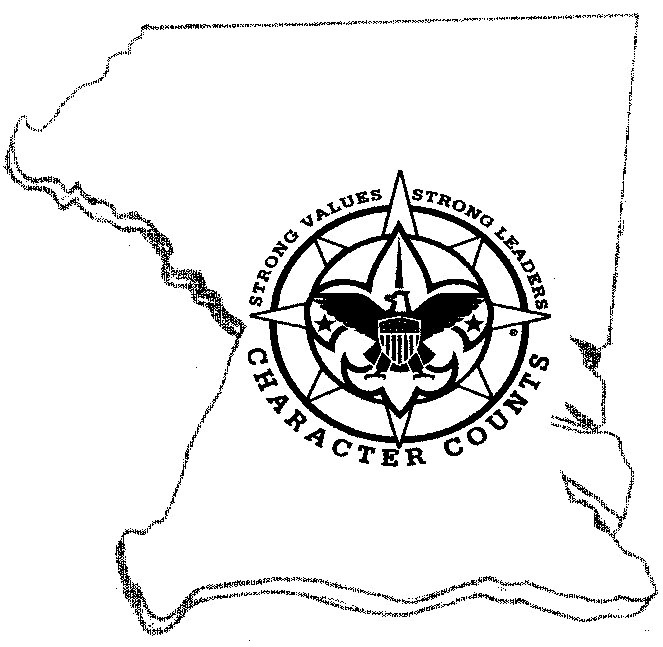 Typically, if they are entering 1st grade in September, 2019, they will be a Tiger for Camp; 2nd grade would be Wolf; 3rd grade would be Bear; 4th grade would be WEBELOS; and 5th grade would be WEBELOS – Arrow of Light. Please select the rank appropriate to the 2019 Scouting Year. If your child participates in an alternate program that does not follow the above model, please note that during registration so they can be properly placed with the rank they will be completing in 2019. Can I turn in paperwork on the first day of camp? The simple answer is “no.” Your scout is not considered registered for camp and will not be assigned to a den until the camp administrators receive the online registration, BSA Annual Health and Medical Record parts A and B, a copy of your health insurance card, and any other paperwork requested. Late or incomplete document submission will result in your paying a higher registration cost. Is there an option for siblings to attend? What will I be doing as an Adult Volunteer? We have several options for adult volunteers. During registration, you will be asked for a preference. You can request to help at a specific station, or to be a Den Leader. Our Den Leaders are assigned to a den, and get to walk with that Den from station to station through-out the day. While we try to keep adults with their scouts, we may have to place you in a different area due to camp needs. If you have additional skills and time, and would like to volunteer to plan a station, we are still in need of staff for some stations – STEM, outdoor skills, citizenship, fitness, and sports. If you are an EMT or Nurse and would like to volunteer to be the “Medic” for the week, we need you as well! It’s not as serious as it sounds, mainly band aides and tummy aches. Additional discounts may apply for adults who are considered staff positions. What is the WEBELOS Overnight? The Overnight is an option available to WEBELOS or Arrow of Light Scouts (entering 4th and 5th grades). The event will be held on Thursday of camp, and hosted by a local Troop. Campers will participate in Scout activities, and have a glimpse into the Boy Scouting Boy-Led Patrol world. Campers will be provided dinner and breakfast, and camping gear will be supplied. Campers are asked to bring personal gear (change of clothes, hygiene, sleeping bag) when they are dropped off to camp on Thursday. They will remain in camp on Thursday at dismissal, when the Overnight program will start. Campers can then be picked up Friday at Camp Closing. An additional information sheet is available regarding this option. We listened to your comments and made some improvements for 2019 Camp! The new registration process will help to ensure we have the required documents prior to the start of camp. This will allow us to notify campers of the den assignment prior to camp, allowing campers to be checked in directly with their dens, cutting out the crazy Monday Morning Check-in! In addition, we have already ordered additional camp equipment, and will continue to order new things prior to the start of camp. Some of these items are: new coolers for lunch storage, banners to identify den tents, supplies to extend the Archery range, and additional tents for Overnight campers. Thank you for all your input and we look forward to another great camp year! *All Youth and Adult staff members are required to attend mandatory in person training. Failing to attend the training may result in a price adjustment, which will be due to camp prior to camper attendance. Contact camp staff to make alternate arrangements to get paper copies to camp staff. Medical forms can not be emailed.